Ken Gardner focuses his practice on corporate, business, real estate, and trusts and estates matters. Ken counsels many closely held corporations and other entities in connection with the operation, structure and succession planning of their businesses, including preparation of governance documents, negotiating and structuring mergers and acquisitions, and advising on debt and equity financing. Ken also handles real estate transactions ranging from representing both sellers and purchasers of cooperatives, condominiums and single and multi-family homes as well as commercial properties, including mixed use locations and apartment buildings. Ken also assists clients with their estate planning needs, including preparation of Wills, Living Wills, Health Care Proxies, Powers of Attorney, and Trusts. Prior to forming Gardner Weiss & Rosenblum LLP in 1991, Ken was a partner with Tannenbaum Dubin & Robinson, New York, New York. 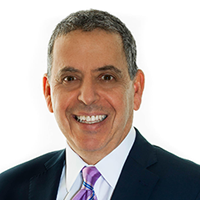 Gregg Weiss focuses his practice on estate planning, trusts and estates and elder law matters. 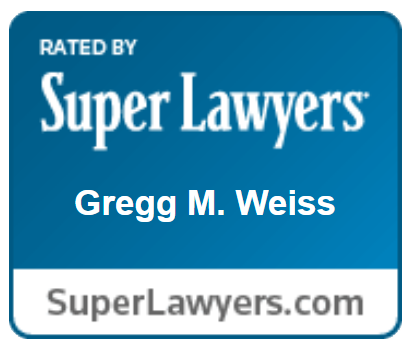 Gregg has been recognized as one of the top lawyers in the Estate Planning and Probate practice areas by the New York Super Lawyers magazine each year from 2008 through 2017. Admitted to practice law in both New York and Florida, Gregg takes a personal approach in working with families and their advisors to accomplish their estate planning, wealth transfer, charitable, and business succession goals. He advises a diverse group of clients on developing and implementing a comprehensive multidisciplinary approach to estate planning. Gregg represents executors and trustees, including several banks, in the administration of estates and trusts in connection with probate and administration proceedings, accounting proceedings, Will contests, and construction proceedings. He also represents beneficiaries of estates and trusts to ensure their interests are protected. Gregg advises seniors and their families on issues related to Medicaid planning and guardianships and serves as counsel to private foundations and public charities. Gregg has been a speaker at CLE seminars for the New York City Bar Association and the Office of the Nassau County Attorney; and has also been appointed as Guardian Ad Litem by the New York County Surrogate’s Court. 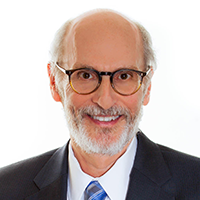 Prior to founding Gardner Weiss & Rosenblum LLP, Gregg was a partner at Putney, Twombly Hall & Hirson LLP and an attorney for the Office of District Counsel of the Internal Revenue Service. A lifelong fan of the New York Knicks, he currently serves on the Board of Directors of Brooklyn Youth Sports Club, a grassroots not-for-profit that uses basketball as a vehicle to help inner city students gain admission into college. 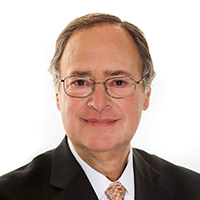 Richard Rosenblum focuses his practice on real estate and corporate matters. His clients include high net worth individuals and businesses ranging from closely-held companies to multi-billion dollar corporations in connection with their acquisitions, sales, financings, refinancings, and commercial leasing (office, retail and warehouse) needs, as well as structuring and negotiating their business transactions. His clients also include both owners of commercial buildings and tenants operating in sectors such as professional services, insurance and financial services, entertainment, manufacturing, importing, retailing, and nonprofit organizations. Prior to joining Gardner Weiss & Rosenblum in 2007, Richard was with Labaton Sucharow LLP for 27 years where he became a Partner and Managing Partner. 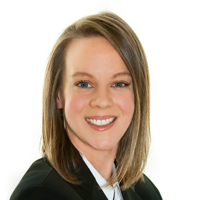 Christina concentrates in estate planning and trusts and estates, estate administration, tax, litigation, and guardianships, in addition to real estate and corporate matters. Christina is qualified as a Guardian Ad Litem in New York County and has served on the Advisory Council of the American Cancer Society New York City Chapter. She was a Notes and Comments Editor for the Brooklyn Law Journal of Corporate, Financial & Commercial Law, and received a Certificate in Intellectual Property, Media and Information Law. Christina has also worked with inMotion, Inc. and was awarded a Pro Bono Leadership Award for her involvement as Coordinator for the Courtroom Advocates Project, both of which provide services to indigent women and survivors of domestic violence. Matt focuses his practice on elder law and estate planning and works with clients on their estate planning needs, assists clients with the institutional and community Medicaid process, and advocates on behalf of clients whose loved ones are in need of guardianship. Matt also maintains a litigation practice involving contested guardianship and estate matters. Over the course of his career, Matt has held a number of prestigious positions. He has served as Chair of the Committee on the Problems of the Aging at the Association of the Bar of the City of New York. He is a noted speaker on estate planning and elder law and has chaired and lectured on his practice areas at various symposiums. He has served as an adjunct professor at New York University’s School of Continuing Education and Professional Studies, where he taught courses in estate planning and asset protection planning. Matt serves as a member of the Executive Board of the Elder Law and Special Needs Sections of the New York State Bar Association, where he has co-chaired the legislation committee. DISCLAIMER: The materials on this website are provided for informational purposes only and do not constitute legal advice. These materials are intended, but not promised or guaranteed, to be correct, complete, or up-to-date. Readers should not act or rely upon any information contained in this website without first obtaining the advice of an attorney. This website is not intended to create, and will not create, an attorney-client relationship with you. While we are happy to have you contact us by telephone, mail, electronic mail, or fax transmission, merely contacting us does not establish an attorney-client relationship. Please do not convey to us any information you regard as confidential until a formal attorney-client relationship has been established.In some jurisdictions, portions of this website may be considered advertising. Gardner Weiss & Rosenblum LLP will not represent anyone desiring representation based upon their viewing any portion of this website without complying with legal or ethical rules of any jurisdiction. Copyright © 2019 Gardner Weiss & Rosenblum LLP.